It’s been an unusually cold winter for us on the West Coast. 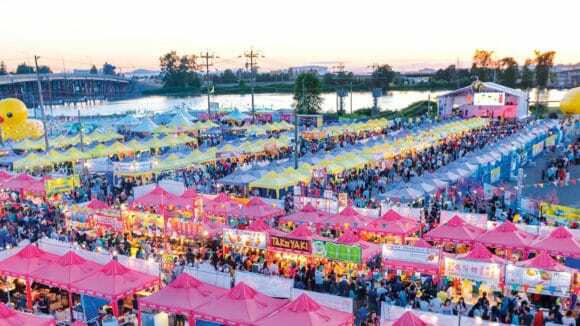 From record-breaking snowfalls to icy road conditions, it’s fair to say that Vancouverites have been counting down the weeks until Spring would finally arrive. So now that the days are longer and temperatures are on the rise, it’s time to start making room in the closet for this season’s essentials. 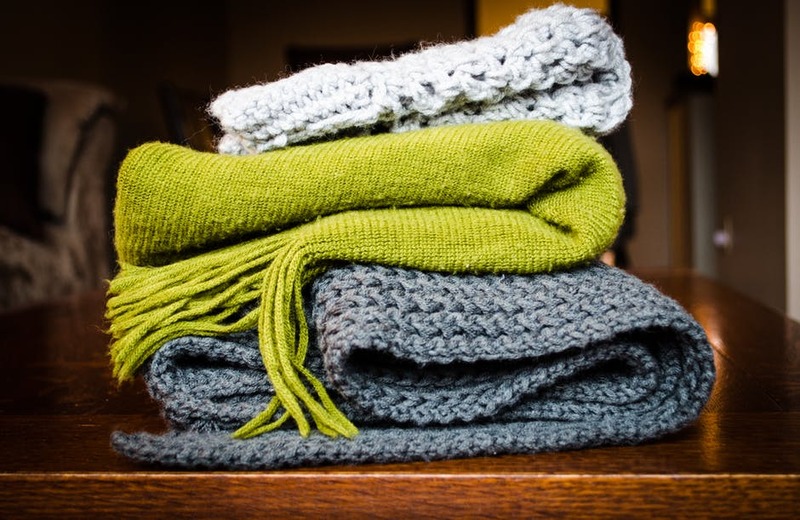 Before you say goodbye to those bulky parkas, wool sweaters, and down-filled duvets, ensure that your winter gear stays intact over these next few months with a few pointers from our team at Alluster Storage in Vancouver. From eliminating odours to keeping in shape, the Butlers are sharing their favourite storage tips so your winter attire is ready to wear when the chilly season rolls back around. Always wash your clothes and winter gear before you put them into storage. Why? Because stains and odours will only get worse once they’re packed away (and we promise it will not be a pleasant reunion come next November). You know that sweater you’ve had hanging in your closet for the last eight years? If you still haven’t worn it in the past 3 months , it’s time to let it go. Customers can donate their clothes at their next Alluster pick-up and they’ll donate them to Dress for Success or Covenant House. For clothing or shoes that hold a certain form, use a filler to keep their shape. Try a few rolled up paper towels or excess plastic bags (that are likely overflowing under the sink) to keep your wardrobe in tact. You could also sprinkle some baking soda, as it will absorb any lingering odour and save you a stale surprise. If you have any items that don’t need to hold a certain form, vacuum sealed bags work like magic. They’ll cut down the size by at least half, just have an iron ready for when you have them redelivered. 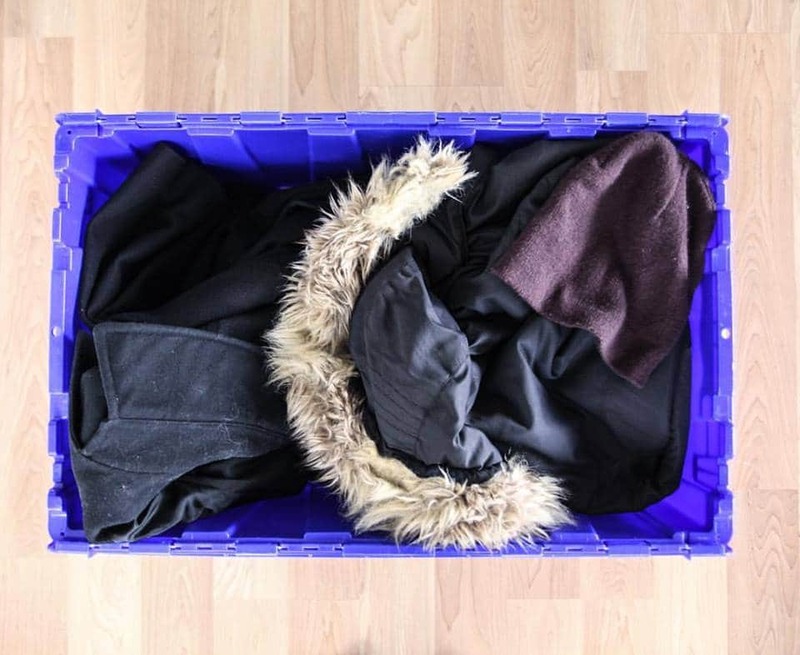 You could also try filling your boots other items you plan to put in storage, like scarves and gloves, to help keep their shape while also maximizing your storage box. Last but not least, where you store your clothes is just as essential to keep them in good condition. 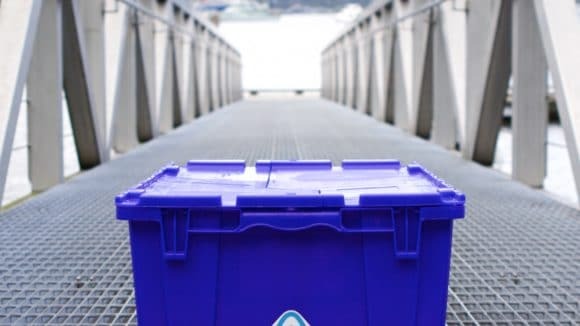 Storing your items in opaque boxes rather than clear ones keeps the light out and prevents any fading or discolouration, which is why our blue boxes are the perfect solution (plus they’re free!). Store similar things together and label them. Our QR system keeps your items easily accessible by creating a visual catalogue for each box. Any time you need to warm up, items can be easily delivered within 24 hours.